Educated in the rich musical tradition of the Rome's Conservatory as a conductor, composer, and pianist, Mo Andrizzi has become a versatile musician with a vast experience in the symphonic and operatic repertoires and a passion for the many areas of the musical arts. 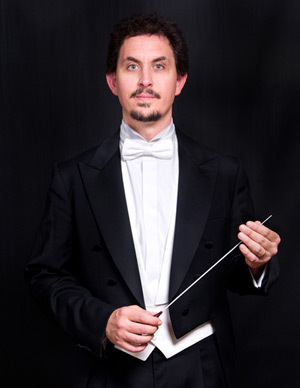 As a conductor, he has worked with various symphonic and operatic companies. In the past several years, he has conducted at the Lyric Opera of Chicago, San Diego Opera, Chicago Opera Theater, Opera Theater of St. Louis, Orchestra della Città di Ravenna, and Chicago Philharmonic, among others. He has also collaborated with important music festivals, including the Millennium Park and the Ravinia Festivals. Many international artists, including Ferruccio Furlanetto, Frederica Von Stade, Frank Almond, James Pellerite, Almita Vamos, and Joyce Castle have performed as soloists with Mo Andrizzi in concertos, operas, recitals, and recordings. An active teacher and performer, Mo Andrizzi has worked since 2013 as the Conductor and Head of the Orchestral Program at the prestigious Chicago College of Performing Arts at Roosevelt University. Mo Andrizzi is very passionate about his work with young musicians and has often collaborated with international artist programs, including the Ryan Opera Center at the Lyric Opera of Chicago, La Musica Lirica, and the Chicago Opera Theater Young Artist Program. Mo Andrizzi has clinic-ed and worked with music programs both in the US and in Europe, and has conducted the Illinois All-State Orchestra. Among his previous positions, Mo Andrizzi was the Music Director of the Cervantes Orchestra of Chicago. Mo Andrizzi was a recipient of the Honorable Mention Award at the International Competition for Conductors of Contemporary Music “4X4 Prize” and a winner of the “P. Barrasso” International Competition for Chamber Music. He has recorded for Albany Records. Born in Rome, Italy, Mo. Andrizzi began his conducting studies with Bruno Aprea. Further studies continued at Northwestern University under the guidance of Victor Yampolsky. He also served as assistant of James Conlon (Los Angeles Opera) and Sir Andrew Davis (Lyric Opera of Chicago).